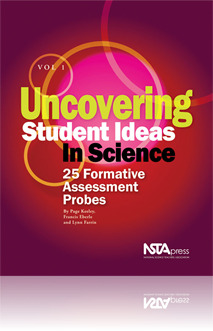 The purpose of this assessment probe is to elicit students' ideas about light reflection off of ordinary objects and materials. The probe is designed to find out if students recognize that all non-light-emitting objects that we can see reflect some light or if they believe that only certain types of objects reflect light. I like learning about light and reflection. It's so cool how light reflects and bends. It's good to teach students about this. One of the misconceptions students often have is that only mirrors and shiny objects reflect light. It is not apparent to them that all objects we see , and the reason we see them, is because they reflect light. This probe explores this concept. Good probe to pair with 'Going Through A Phase' probe about phases of the moon and role of reflection to see Moon.